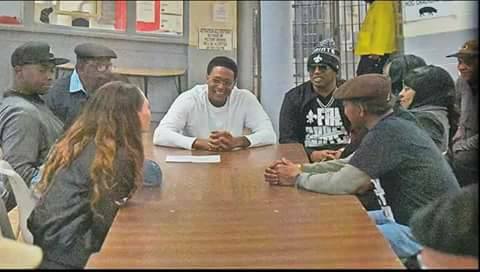 Master P went to visit his brother in Angola Prison, he’s in good spirit. C told him that he wants to use his case and his life to help other young men not have to go through the unnecessary injustice that he’s been through. We laughed, we argued, we fussed and we fought but in the end we realized that there is nothing more important than family. We will be there when no one else will. Blood is thicker than water. You can choose your friends but not your family. Nothing is more important than love. We all we got. Free Corey Miller. God will turn this around. A man has come forward and confessed, there is also a video tape from the club that has not been used as evidence in the case but we have faith and trust in God. Thanks to all the fans for their prayers and support.